Do you love the power of books? Would you like to be a part of an organization that is focused on unlocking lives and imaginations through literacy? 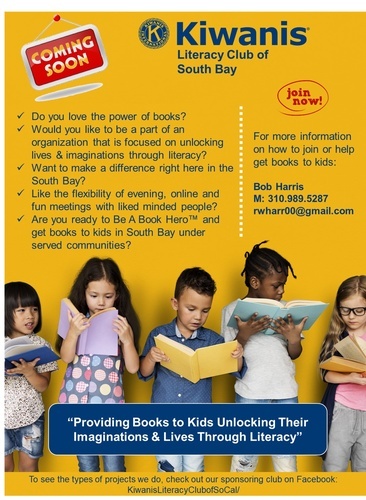 Then please join us in the formation of the Kiwanis Literacy Club of the South Bay.